Our new album is out now! Check it out and get your own copy! Nordic Raga is a group which experiments with bringing more improvisation in Nordic folk music, which traditionally doesn´t use improvisation much. To find inspiration for this they use models for how improvisation is used in classical Indian music, but use Nordic scales and rhythms. 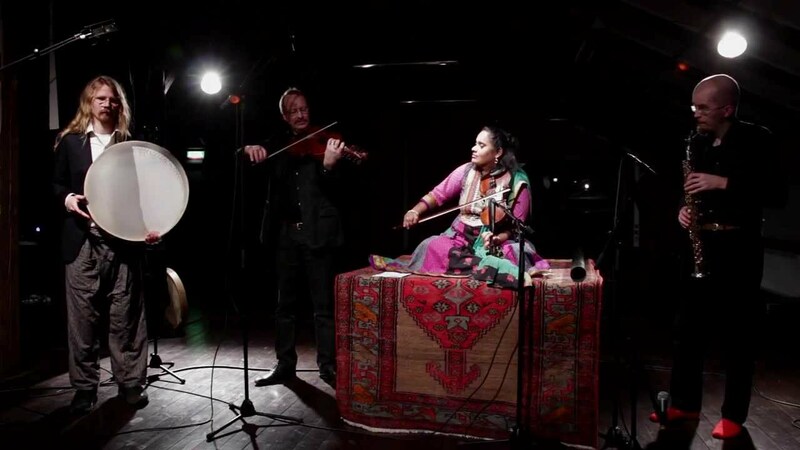 In a typical Nordic Raga concert the emphasis is on improvised music, where the improvisation is based on scales and rhythms from Nordic folk music, but uses the tools of south Indian Carnatic music. But the band also performs both more traditional Nordic and Carnatic music. In the World Music business, the word ‘collaboration’ often has a negative ring to it. Perhaps because the projects are often put together in great haste, and the participants seldom have the chance to acquire in depth understanding of each others’ musical traditions. Not so in Nordic Raga, where the participants all have both a very thorough understanding of their own tradition AND a deep understanding and curiosity for the tradition of the counterpart. The band is not afraid of trying new paths, and has for instance done a cooperation with Vindla, one of Sweden’s leading string quartets.